If you’re a small or medium sized group or company looking to experience all the fun of Christmas with an unforgettable night, then this festive join-a-party is the celebration for you! 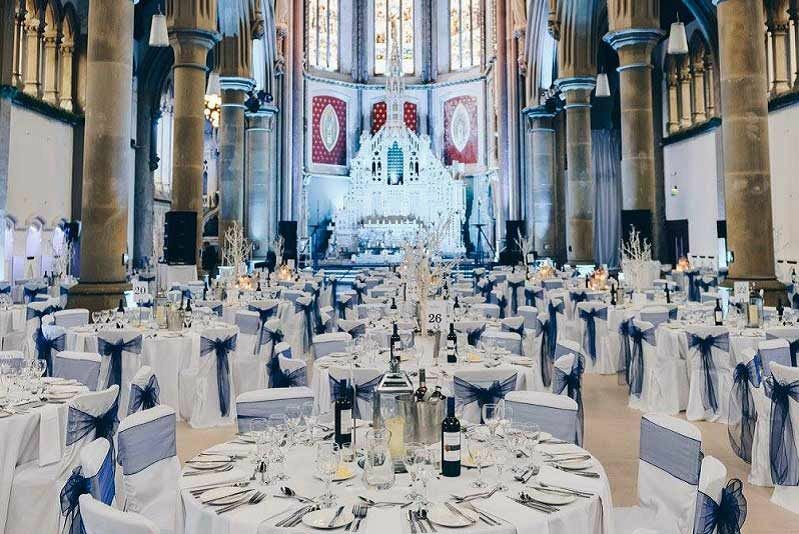 Based at an impressive Gothic venue on the outskirts of the city, this unique and exciting grade two property will be sure to provide your guests with the wow-factor. 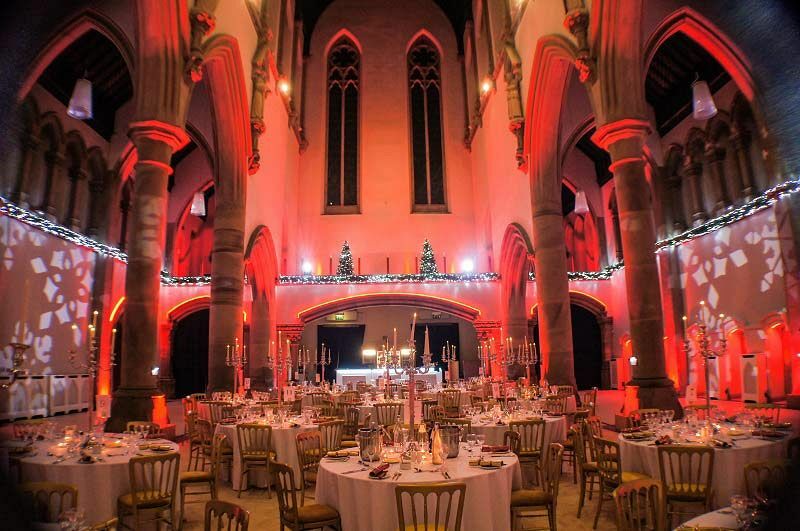 You’ll enjoy all the exhilaration and atmosphere of a large-scale event and will join other groups and companies to experience all the best of the festive season at this stunning venue. Arrive on the night in your finest attire, where you’ll start the night with a delicious chilled glass of sparkling wine. Whilst you sip upon your drink, catch up with friends and admire the magnificent venue that’s been beautifully decorated in a festive manner throughout. Look forward to the gastronomic delights of the mouth-watering four-course meal which has been freshly prepared by the incredible in-house chef and their team. Every dish served uses delicious, seasonal ingredients to create a sumptuous taste sensation for each guest. Whether you’re after meat, fish or vegetarian options, you’ll be spoiled for choice with this excellent menu. Mineral and sparkling water will accompany dinner, but if you’d like to add a half bottle of wine to your meal for an additional cost per guest, then that can easily be arranged. After the dining experience, treat yourself to your favourite tipple from the well-stocked bar and continue the night on the dancefloor, where the DJ will have a brilliant line up of top party tunes ready to go - get ready to let your hair down and round off the working year with some fun! 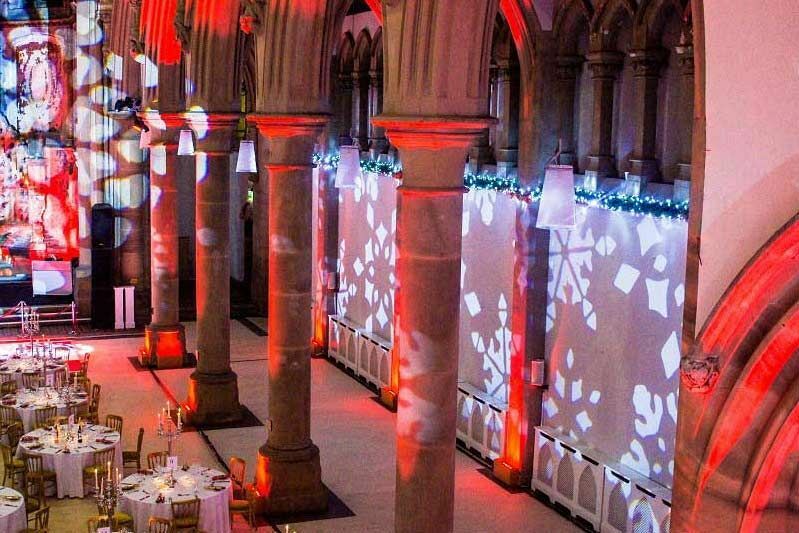 Make your Christmas party in Manchester memorable this year with a fantastic shared party night that everyone will be talking about for time and time to come!